Q. I have used LMB before but, why is my Love My Buns Mix not absorbing as much water this time? A. 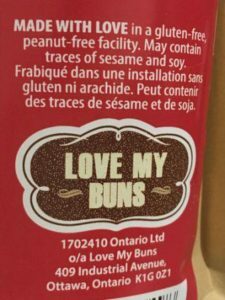 If using Love My Buns with the best before date of Sept 26, 2019, the originating source of the coconut flour is different and the way they produce the flour gives it less absorptive qualities. Please, use HALF the recommended amount of water listed in the recipes and use HOT water. I apologize for any confusion or inconvenience! Q: What are the ingredients in Love My Buns? To which you add egg and vinegar for the basic bread recipes. Some recipes are egg-free. 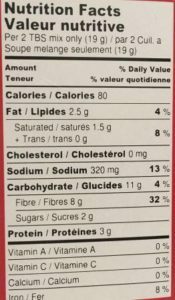 Q: What are the nutritional facts of Love My Buns Baking Mix? 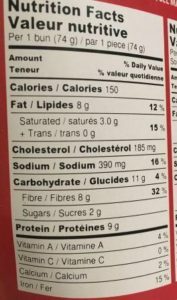 Q: What allergens are in Love My Buns Baking Mix? Q. My batter seems too thick/too thin; what should be the consistency? A. Most LMB batter should have the consistency of hummus and will thicken slightly as it sits. If it is too thick, add a little more water, one TBS at a time, if too runny, add a little more baking mix, one TBS at a time. Q. 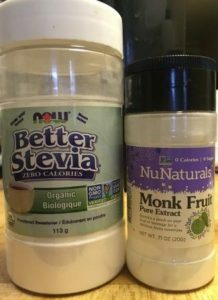 Exactly which Stevia sweetener do you use in LMB recipes? Q. Is Love My Buns ‘EGGY”? A. In short, YES. Unless you are using one of the egg-free recipes. If you are not a fan of egginess, use the Egg-Free Sandwich Buns/Bread recipe. It is delicious ;). if using the microwave method, make sure you flip out the bun from its baking dish and let all the steam escape. The less moisture in the bun, the less eggy it will seem.